The team behind Stadium met around 200 football fans over a ten-month period to create the show, which plays at Birmingham Repertory Theatre this week. 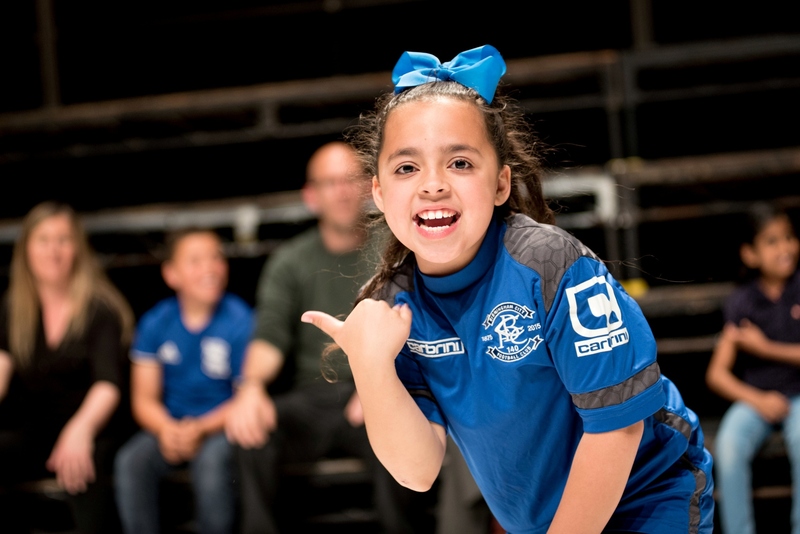 In doing so, they aimed to create a community production which gives local people a voice to share their highs and lows of the beautiful game. Focussing largely on the rivalry between Birmingham's two teams – Aston Villa and Birmingham City, with some West Bromwich Albion stories thrown in for good measure, Stadium could have been a fantastic, funny and insightful piece of theatre. The mystery is why it isn't. With so much raw material, how has writer Mohamed El Khatib managed to create a script which is so weak? Surely if you put half a dozen football fans around a table and asked them to share their funniest, quirkiest or most bizarre match day stories, it would result in some laugh-out-loud moments? Instead there's an uncomfortable unease in watching Stadium. Most of the performers are amateurs amassed from the football fans who were interviewed so their nervousness doesn't help. With a lack of good content, no clear narrative and an awkward delivery, Stadium feels like a huge missed opportunity. That's not to say the team hasn't tried. Frederick Hocke's design cleverly replicates the tiered seating of a football stand – complete with uncomfortable chairs. 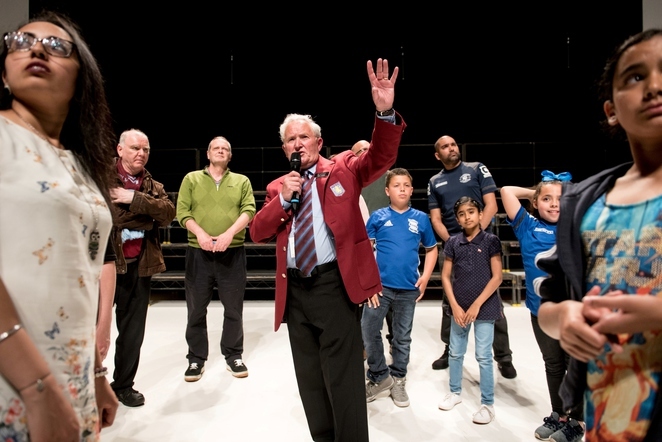 And the stage action is bolstered by some filmed interviews which bring alive the rivalry between the two teams and have a few humorous moments – like the little boy who asks why his fellow Villa fans keep singing 'sit on the settee'. Choreographer and performer Dimitri Hatton also brings a touch of light relief with his reveries into Shakespeare and his attempts to encourage the other performers. There are a couple of lovely moments. There's Graham Wilkes whose mum made him a giant WBA flag which he still takes to every game 20 years after she died. Watching him wave the flag while his mum's favourite music is sung in the background is a powerful reminder of the unifying strength of football. And who can forget Paul and Gill Adams' anecdote of the Villa fan who cheered so loud his false teeth blew out – and down half a dozen rows in front? But Stadium needs more of these moments and it needs the moments to be connected for it to work. One scene jumps to another without any identifiable story thread until the production feels more like a jumble of football memorabilia than a theatre production. Where we could have been leaving feeling elated having belly-laughed or been stunned into amazement for 90 minutes, instead what's lingering is that slightly deflated feeling that you get after watching your team lose and knowing they could have done so much better.